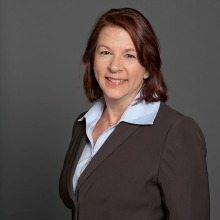 Science Applications International Corp. has named Elizabeth “Liz” Saris, a long-time company executive, as a senior director responsible for managing the company’s Energy Department account. Saris, who previously spent 30 years with SAIC, will be responsible for growing and expanding operations with the company’s DOE accounts. Saris first joined SAIC in 1983 and rose through the ranks to become senior vice president and operations manager leading the company’s energy and infrastructure business. She left in 2013 to focus on helping small and mid-size companies, before rejoining SAIC in July. Most of SAIC’s work for DOE involves Sandia National Laboratories.